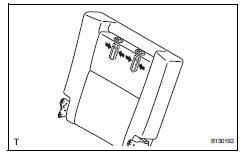 Using a screwdriver, detach the 5 claws and remove the cover. Using a screwdriver, detach the 5 claws and clip, and remove the cover. 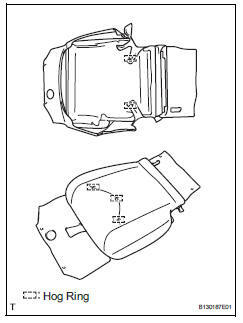 Using a clip remover, remove the 2 clips of the seat cushion back side. Then open the seat cushion cover. 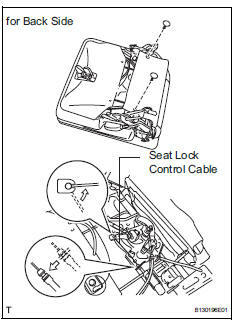 Disconnect the seat lock control cable on the back side from the seat cushion as shown in the illustration. 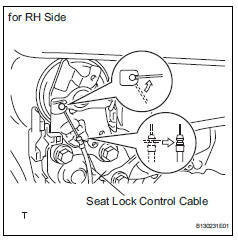 Disconnect the seat lock control cable on the rh side from the seatback as shown in the illustration. 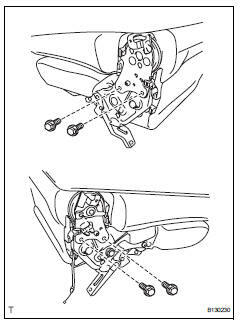 Remove the 4 bolts and seat cushion. 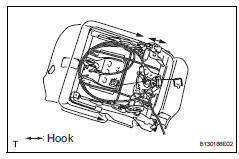 Using a screwdriver, detach the 5 hooks. 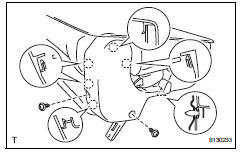 Using a screwdriver, detach the hooks and remove the seat cushion cover (with pad) from the seat cushion spring. 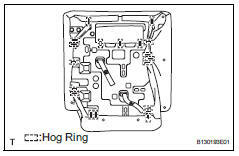 Remove the 5 hog rings and seat cushion cover from the seat cushion pad. 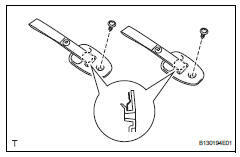 Using a screwdriver, detach the 2 clamps of the cable tie. Cut the 4 cable ties. 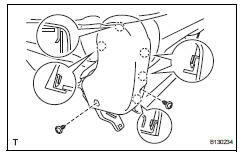 Remove the 5 cables from the seat cushion spring. 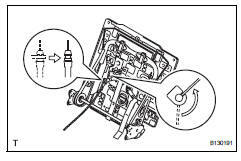 Remove the nut and wire. 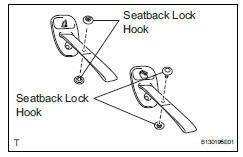 Remove the 4 seatback lock hooks. Detach the 2 claws and remove the bezel. Using a clip remover, detach the 9 clips and remove the seatback board carpet. Be careful not to damage the seatback board carpet. 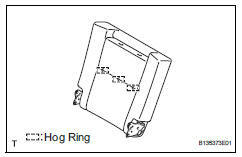 Remove the 19 hog rings. 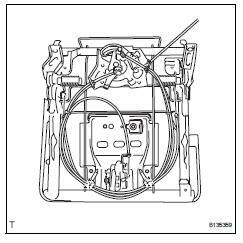 Remove the seatback cover (with pad) from the seatback frame. 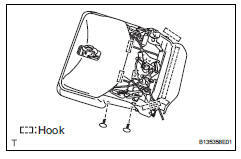 Remove the 3 hog rings and seatback cover from the seatback pad. 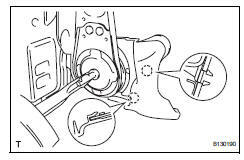 Using a screwdriver, detach the 2 claws and remove the inner cover. 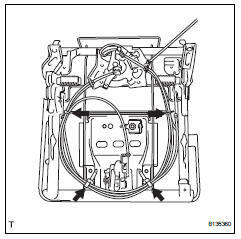 Remove the cable from the seatback frame as shown in the illustration. Remove the nut and band.